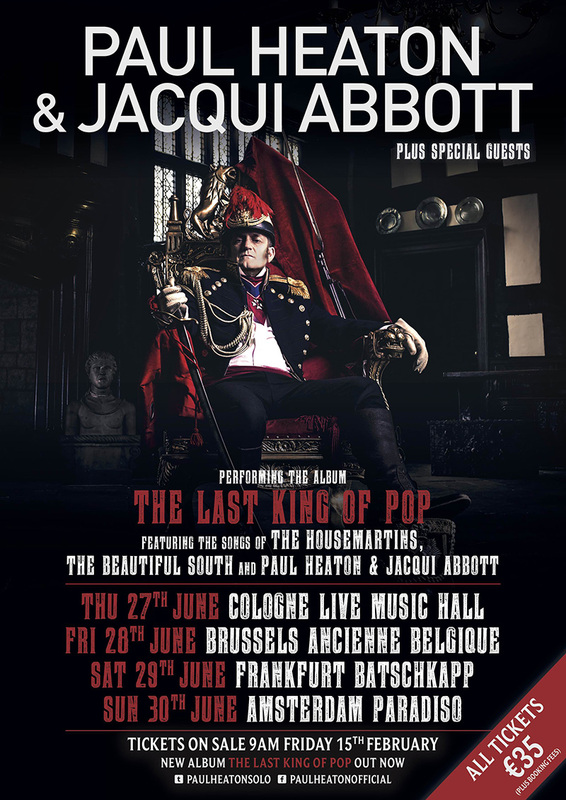 Paul & Jacqui are pleased to announce shows in Cologne, Brussels, Frankfurt and Amsterdam where they will perform The Last King Of Pop in full – the songs of The Housemartins, The Beautiful South + Paul & Jacqui. Tickets on sale 9am on Friday 15th February. 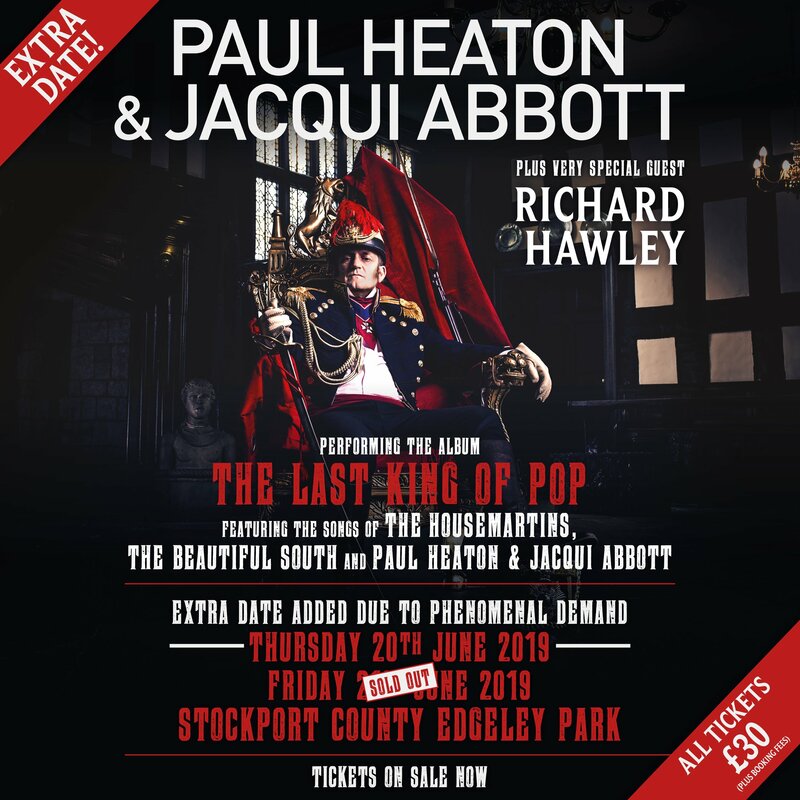 with Richard Hawley, Paul Heaton & Jacqui Abbott. 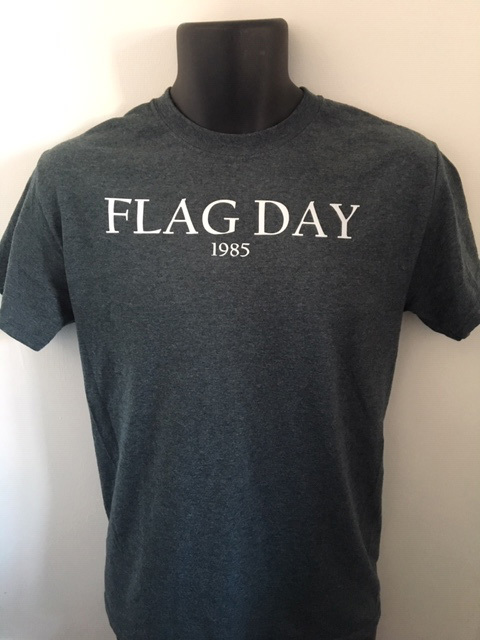 As well as a revamp of the website, our online store now has brand new merchandising available to order.